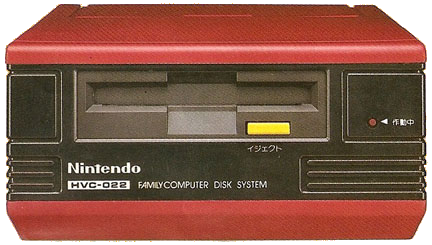 The Famicom Disk System (HVC-022), or FDS, was released in on February 21, 1986, by Nintendo Co., Ltd., and Mitsumi Electronics Co., Ltd. 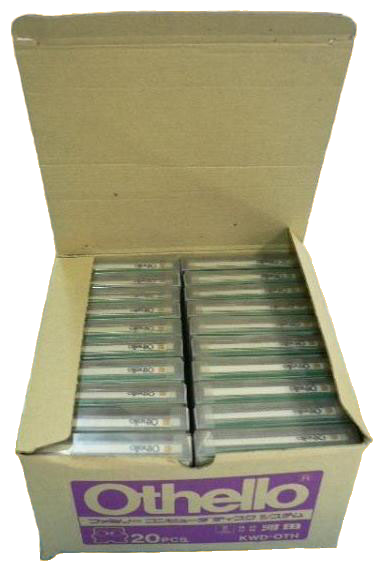 Though 212 Disk System games were officially licensed by Nintendo over the years, some argue the Disk System isn’t really its own console but instead a Famicom accessory. Gamers have to plug the Disk System into the Famicom to get it to work. 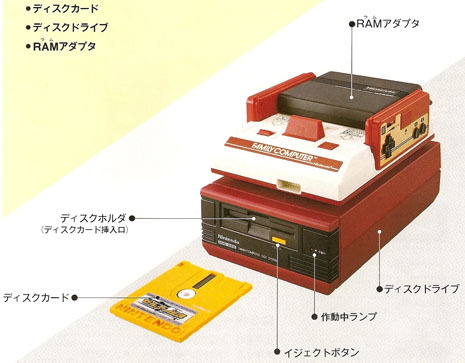 The Disk System connects to the Famicom via the RAM adaptor (HVC-023). It can be powered with C batteries or a power adaptor. 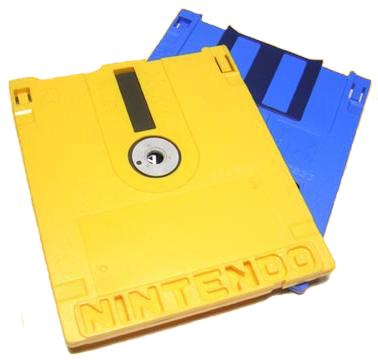 Disks (officially called “disk cards”) were inserted in front, like the standard ’80s floppy drive, and were removed using a yellow eject button. 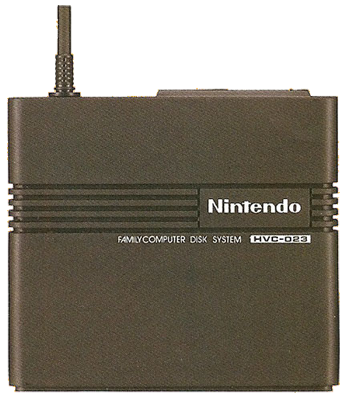 Nintendo created the Disk System for various reasons, in part because Famicom gamers were begging for a way to save their progress in games, but Nintendo also wanted to increase the size of games. Cartridges had failed to provide the luxuries disks could provide. Another awesome feature provided by the use of disks was that they could be easily rewritten with new and different games. Nintendo placed Disk Writer machines in stores around Japan. Gamers would push a blank disk, or disk with a blank Side B, into the machine and write one of nine available games from any particular Disk Writer onto the disk. Over 100 of the games licensed for the Disk System were, at one time or another, available in Disk Writers. Many popular Nintendo Entertainment System (NES) titles were released for the Disk System. Zelda? Check. Zelda 2? Check. Castlevania (under the name Akumajou Dracula)? Check. Super Mario Bros. 2 (originally Yume Kojo: Doki! Doki! Panic in Japan)? Check. Many games that were never released for the NES, however, also were released for the Disk System. Ever heard of Yume Kojo: Doki! Doki! Panic, the prequel, if you will, to NES Super Mario Bros. 2? It was only released in the disk format. Interestingly, Castlevania was much easier in disk form because it had save states, and I bet you didn’t know that it has different music and gameplay, too! The music is fantastic! Japanese games by the same title as their NES counterparts often have gameplay and graphic differences. At the height of the Disk System’s few years of reign, Nintendo exploited the system’s save feature by hosting nationwide tournaments, where gamers could purchase one of the blue disk versions of a game, such as Famicom Grand Prix: F1 Race, and compete to get the highest score. A gamer could play at home as many times as he wanted, then save his score and later “fax” it into Nintendo of Japan’s headquarters using a Disk Fax machine placed around Japan. Prizes were given to high scorers. The Disk System also led to the creation of Nintendo’s only official mascot, if Mario is seen as a mascot by default only. 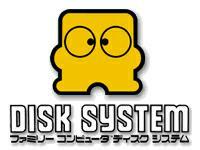 This mascot, Disk-kun (or Mr. Disk), was used widely on Disk System advertising during the mid- to late-80s. Yet, the disk format was too good to be true, eventually failing in so many ways, including as a viable commercial product for Nintendo. Some people dispute the failure of the Disk System, pointing out that it survived for several years, but the failure is seen in how many brand new Disk System games pop up for sale, because they didn’t sell back in the ’80s. Why did the Disk System fail? Well, it had its faults. Having not been built sturdy enough, many gamers were plagued by the infamous disk error messages on their TV screens. Sometimes it was the game; other times it was the disk drive; and most times it was the delicate drive belt inside the Disk System, which would break or turn to mush. Even more painful, sometimes it was the ability to save that caused a problem, which on occasion could erase a gamer’s hard-earned save state. Gamers also complained about the slow loading times for games. With cartridges, the loading time always was instant. With the Disk System, the initial loading of the game could take 10 or more seconds, and during gameplay, the game would sometimes stop to load the next scene or stage, almost comically, like in Relics: Ankoku Yousai. Plus, many games utilized both Side A and Side B of the disk, so gamers would have to eject and switch back and forth between sides, most often for saving their progress. Japanese gamers got really impatient, nevermind that today’s Microsoft Xbox 360 and Sony PS3 have just as slow loading times, if not slower. Another reason for the fall of the Disk System were the ease with which rouge companies could make pirated disks. Those disk usually came out of Hong Kong and saturated the Asian market. The Disk System’s swift and sad end came by around 1989, though some games were released after that date and Disk Writers were still in stores through the turn of the century. Because the Disk System failed to catch on, some of the disk games that had been made exclusively for the Disk System, such as Konami’s Bio Miracle Bokutte Upa, were later re-released in cartridge form. 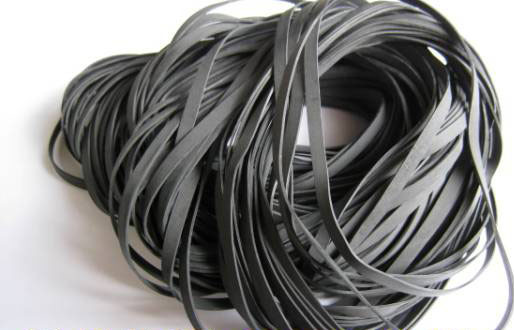 A pile of belts for Famicom Disk Systems.